For all pets entering the facility for any of our services, we require a veterinary certificate providing proof that your pet is current on required vaccinations at least seven days prior to visiting us. 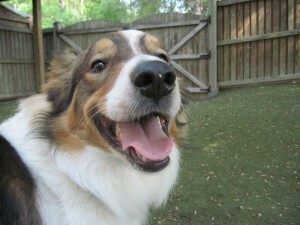 Dogs must have current Rabies, DHLPP, Bordetella and CIV vaccinations. Cats must have current Rabies and FVCRP vaccinations. In addition, because of our wooded environment, we strongly recommend all dogs staying with us be on some form of flea and tick preventative. 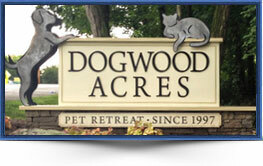 Any prescribed medication provided by the owner to be administered by Dogwood Acres must be in its original container, indicating the patient, medication name, strength, dosage and prescribing veterinarian. Please do not bring any medication (prescribed or otherwise) already mixed with your pet’s food. There is an administration fee of $3 per day for up to five prescribed medications. We have a large selection of quality foods available for your pet at no additional charge. However, if you choose to bring in your own food, all dry food must be in meal size portions in individual Ziploc bags with the pet’s name on each bag. We cannot accept any open containers or bags. We provide clean, comfortable quilted bedding or “hammock beds” for all our guests. We therefore do not accept any dog bedding. Please feel free to bring in a toy for your pet. Any toy is acceptable EXCEPT rope toys and rawhides in any form. We will do our best to return the toy to you when you pick up your pet. However, we cannot guarantee you will get the toy back because it can become separated from your pet. Because it is our goal for your pet to have a fun and stimulating stay with us, all of our guests visiting for five days or longer will receive a “Wash and Wear” salon service at your expense. Your pet will receive this service on the last day before you pick up. 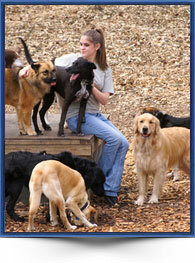 We refer any medical emergency to Family Veterinary Clinic or the Anne Arundel Veterinary Emergency Hospital. 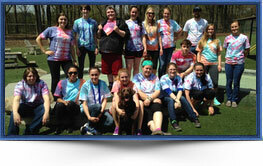 For any health concern that may arise, our staff maintains a detailed log of events for both you and your veterinarian. 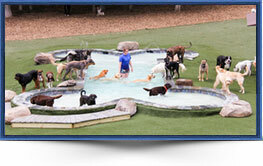 Charges are incurred for the first day’s stay regardless of what time your pet arrives at our retreat. There is no charge for the last day’s stay if your pet is picked up before 11:00 am.